1. Easy to use, no extra tools needed. 5. Environmental, adopts environmental and biodegradable material, no poison to nature. 7. Safety: adopts special anti-corrosive ingredients to prevent damage on hub. 1. Shake up before use the tire sealer and inflator, and then open up the connection of safety valve cover. 2. 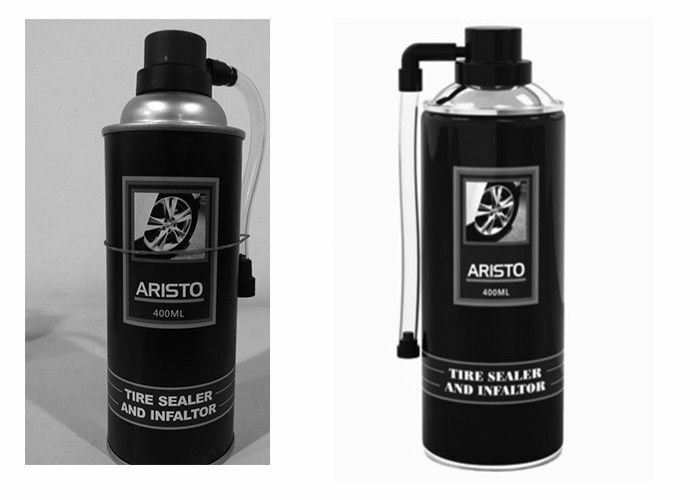 As per clockwise to tighten the tire fluid connection valve and inflating valve. 3. Check the bottle tightly connected to one end of the connecting tube, upside down and press to valve to start inflatable. 4. After the tires to be filled with gas, pull out the connect valve to finished inflation and repair process. 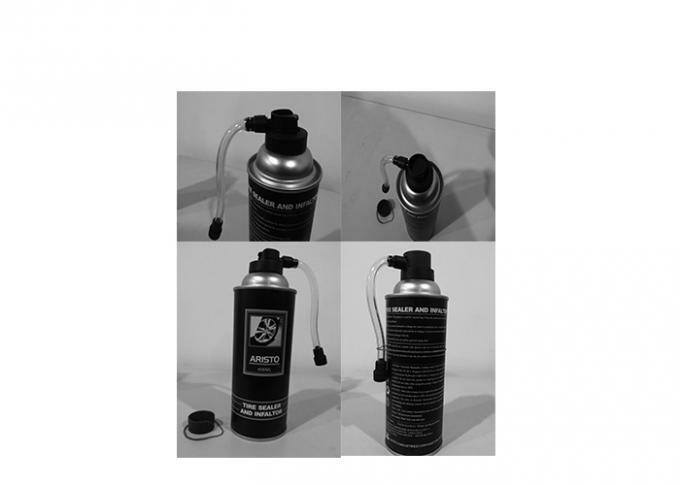 This material adopts professional hi-tech foam know-how, it adopts imported natural high molecular material and special ingredients finely selected. It is widely applicable for kinds of electric bike, motorcar and automobile’s tires. It has special function for 1-5mm tire acanthopore. It’s a necessary safety equipment with bikes and cars.